The key to sustainable business success: Be smarter about what you can’t do! There are more emerging micro, small and start-up businesses than ever before. Running your own company is a steep learning curve, no matter what your experience or how well prepared you are, there is no guarantee to your success. You can however boost your odds dramatically by making your business as good as it can be. To do this you have to be the expert in your day job – the activity that actually generates your income. Of course, you have to be an expert in IT, HR, or finance if that is what you are offering but what about the other functions that are essential to business development? You wouldn’t expect a heating engineer to be an expert in the security of their team’s mobile and computer networks – it detracts from the day job and is an inefficient allocation of time and resources. Sharing workloads with an expert in areas outside of your core business can save you time, money and resources, as well as offering unique and valuable insights into your business. Outsourcing aspects of business functionality is an option seen to be prohibitive to micro and small business owners, despite the benefits being extremely valuable. If you have a resource, knowledge or skills gap within your business it’s time to consider partnering with an expert. At Ping Marketing we practice what we preach by sticking to our day job – creating demand and opportunities for micro to medium-sized businesses. We offer consultancy and coaching solutions to suit and support your business and your budget – our lack of packages validates our confidence that we uniquely reflect the individuality of our clients. Finally, if you have met me or any members of our team you will know that we are life’s natural cheerleaders and we will be by your side as little or as much as you need us. 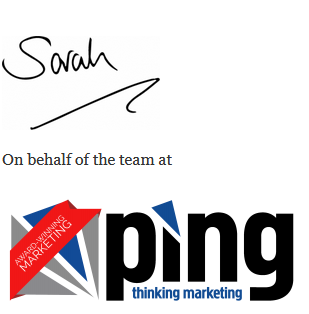 Please call us on 03300 414 550 or email sarah@pingmarketing.co.uk to find out more. 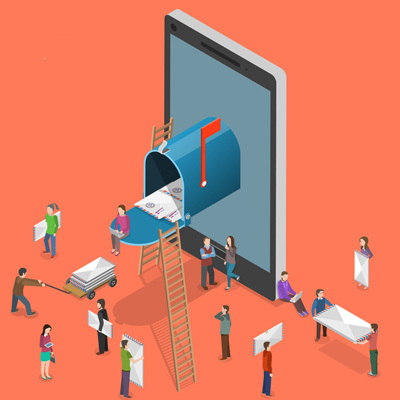 The 5 Essentials of Email Marketing: Or how to get engagement. Contact us today to find out how we can help you... Contact Ping Today! Generate new leads today by subscribing to our Ping newsletter! You can expect free marketing advice, the latest news and business updates, as well as handy hints and tips. © 2019 Ping Marketing Ltd. All Rights Reserved.